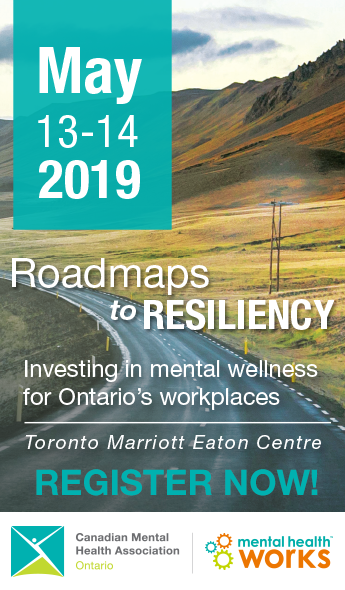 Registration is now open for Canadian Mental Health Association, Ontario Division’s 2019 conference. Interested parties can now register for the conference at cmhaontarioconference.ca. This year’s event, slated for April 1-2 at the Marriott Downtown at CF Toronto Eaton Centre, is titled The Quality Culture: Building Better Together and will bring together board volunteers, agency leaders and clinical/front-line staff to discuss the integral role everyone plays in creating a “quality culture” in the community-based mental health and addictions sector. Keynote speakers for the conference include veteran emergency room physician and medical media personality Dr. Brian Goldman, award-winning national health writer André Picard and registered psychotherapist and compassion fatigue specialist Françoise Mathieu. To learn more about the 2019 conference, including hotel booking and travel information, agenda items, keynote speakers, group sessions, sponsors and exhibitors, and registration details, visit the conference website.